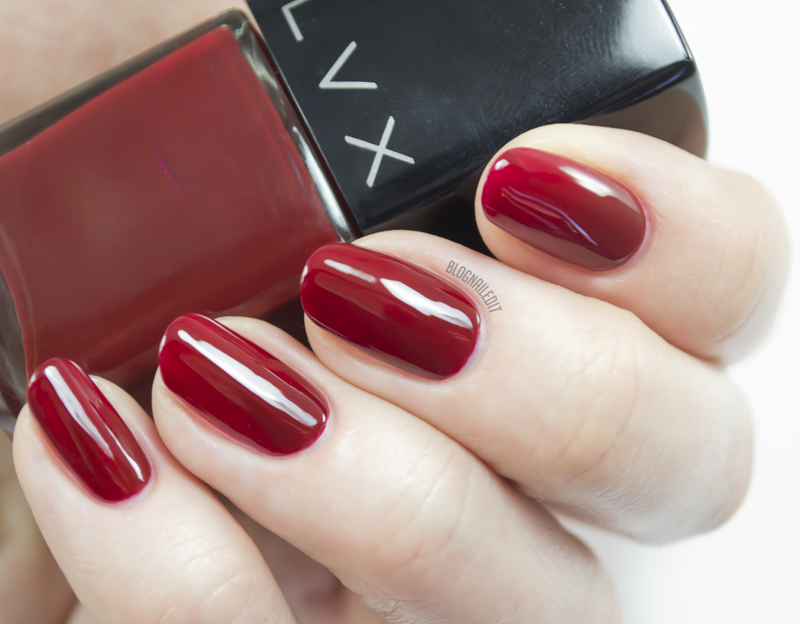 Today I'm showing you swatches from the Winter 2014 LVX collection. 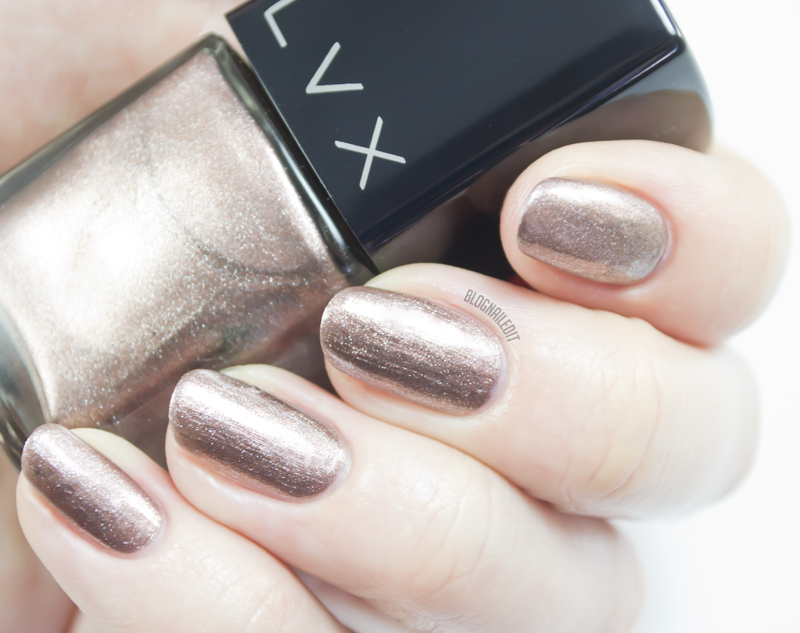 Like all LVX collections, there are 6 shades, all inspired by the looks showing up on the runways. To see check out a few of the looks, be sure to click the name of each swatch below. This collection brought about one of the nail community's most newly coveted shades, Denim. I fell in love with it as soon as I swatched it (keep scrolling to see it), and I loved the idea of pairing it with Mineral (also swatched below). I thought a simple, freehand flora design would be perfect! Denim is that gorgeous blue I'm holding, and Mineral is the base. It looks like patterns on china, don't you think? Now that I've thoroughly excited you...let's see the swatches! This...is Denim (2 coats). For anyone who died a little on the inside when Sally Hansen changed the recipe for Pacific Blue, this may be your reprieve. Though it's not an exact dupe, it sure is close, and it's beautiful. Femme (2 coats) is another new favorite of mine. I'm such a sucker for baby pinks, and this awesome formula makes it irresistible. Eiffel (2 coats) is a rose bronze foil shade. It's the only one in the collection that isn't a creme, but it works well with the other colors somehow. The Tomic siblings really know their fashion! Crimson (2 coats) is described perfectly by its name. This formula is a little more crelly-like than Denim or Femme. I love this blood red! Mineral (2 coats) might be my favorite of all these shades...it's a super light grey putty. Perfect formula! Finally, this is Vamp (2 coats), an ultra dark, ultra pretty plum. If you love this collection, you can pick it up online directly from LVX here. It's pricey, but it's a feel-good brand - vegan, cruelty-free, and 5-free. Would you pay $16 a bottle for these? I would! The products in this post were given for review purposes. The reviews are based entirely on my experience with the products and were in no way influenced by anyone. Gorgeous nail polishes, I love them all. 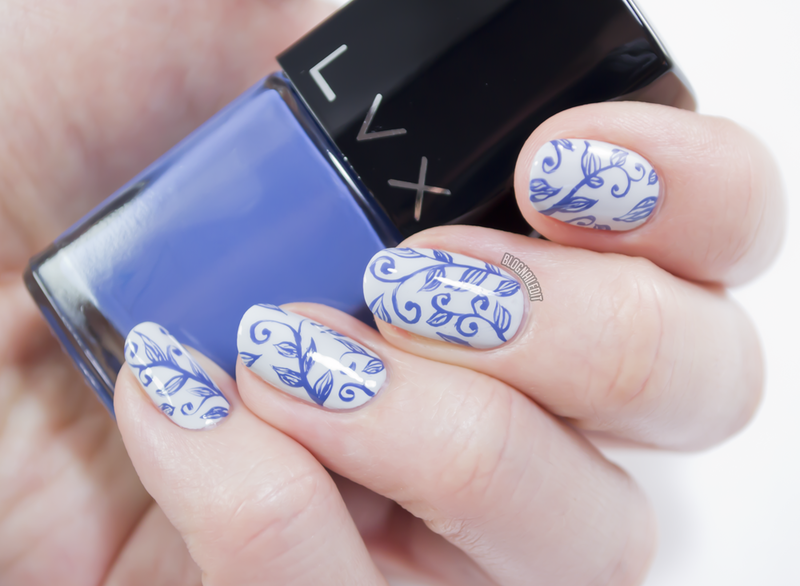 Denim is so gorgeous and I love that nail art look!